1. 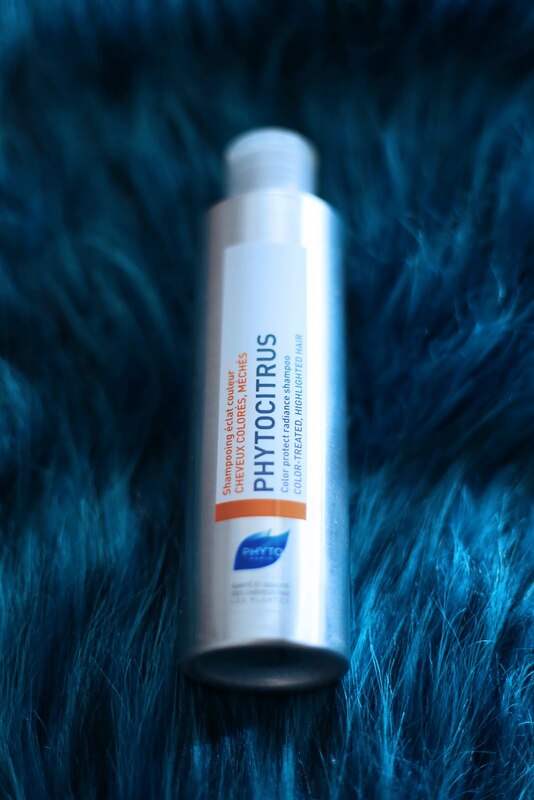 Phytocitrus Color Protect Radiance Shampoo - A lot of you have been asking me about tips for bright blonde hair - this shampoo really wowed me! I wasn't expecting to see such noticeable positive results, but my hair instantly had a brighter blonde color and a visible shine. My tip: Mix this in with with your regular shampoo as it can be a little heavy on it's own. I consider it an enhancement product to use with my current routine, and I only add this in every other wash. I also do a 2nd shampoo with purple shampoo once a week to cancel out any brassiness and keep my blonde a baby white shade. 2. Lancome Absolue Eye Precious Cells - This has become one of my favorite eye creams, along with this one from Mario Badescu. 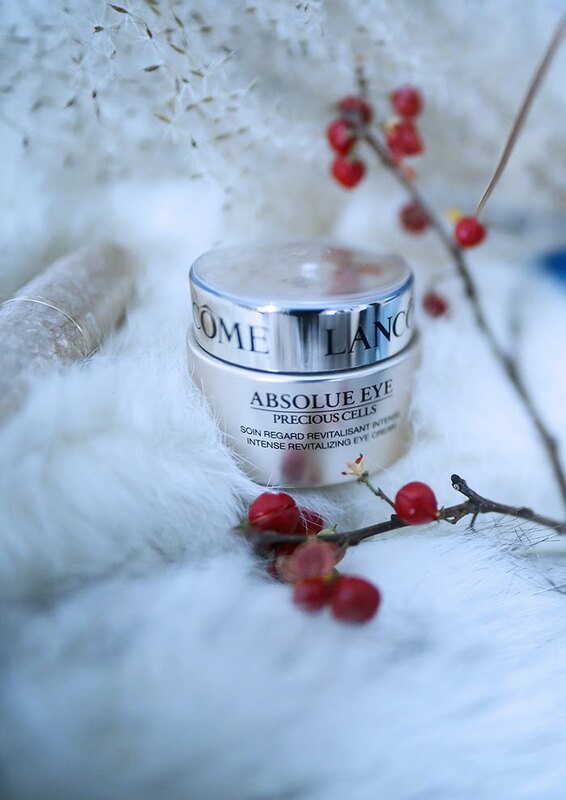 Precious Cells is a thicker cream, but still quick-absorbing. I have noticed that my eyes look bright and awake, with puffiness visibly minimized! Containing a powerful ingredient "Pro-Xylane," I hope to see fine lines also minimize over time. I've only been using it for a couple of weeks, so I'll continue to report on results. I'm loving it so far. 3. 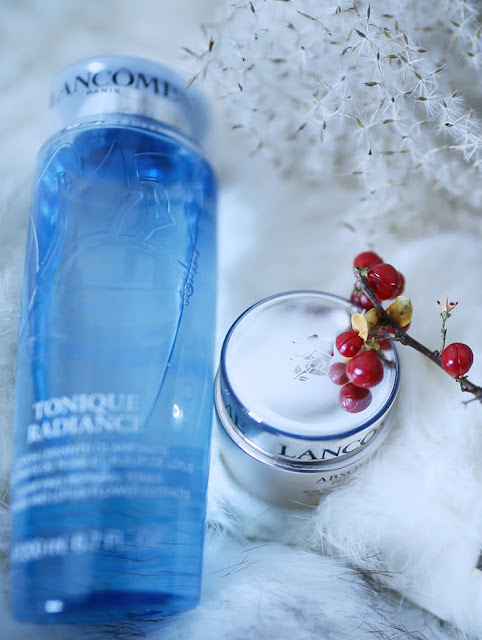 Lancôme Tonique Radiance Clarifying Exfoliating Toner - This toner has a soothing, pampering effect, which makes toning pleasurable. I feel a slight tingling/clean sensation when using. I like the results as well, as my face appears smooth and bright. 4. 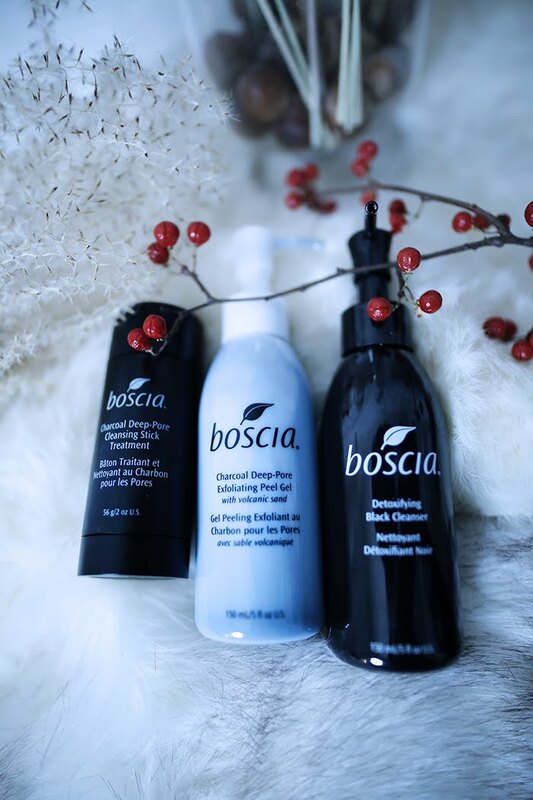 Boscia Detoxifying Black Cleanser - This cleanser is one of my new favorites, and definitely my winter essential - it literally warms your face upon contact! Every morning I anticipate the moment I can cleanse my face, it's so cozy. :) I also am really loving the results - my pores appear minimized (which is important to me) and my face feels soft. 5. 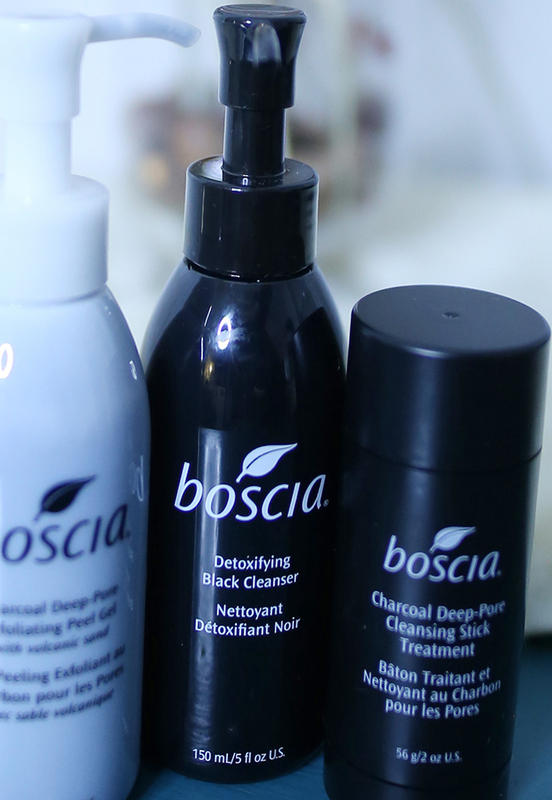 Boccia Charcoal Deep-Pore Cleansing Stick Treatment - Another impressive cleanser - this time, in stick form! 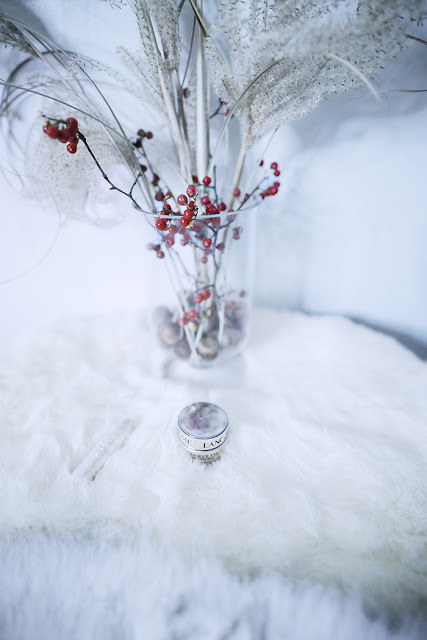 What is great about the twist-base stick form, is the ability to really deep clean your pores. 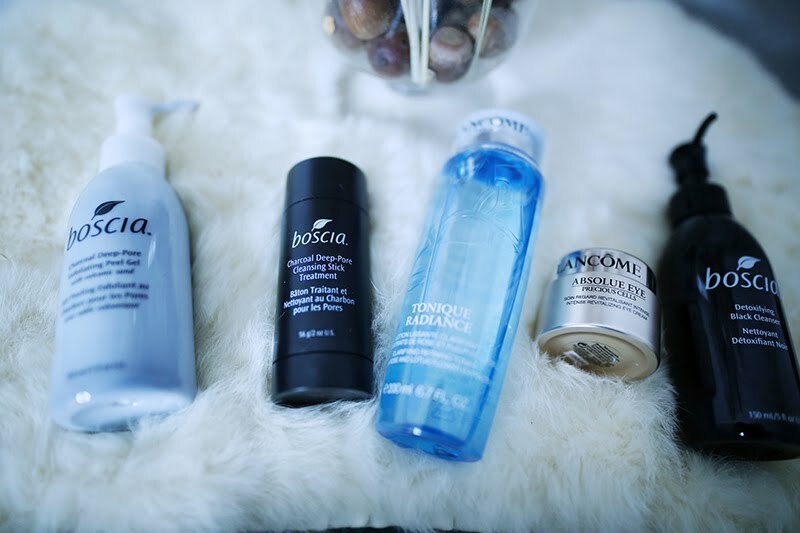 I have naturally oily skin, and this cleanser truly minimizes shine and pores. 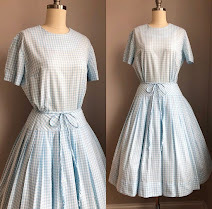 Where is your dress from? 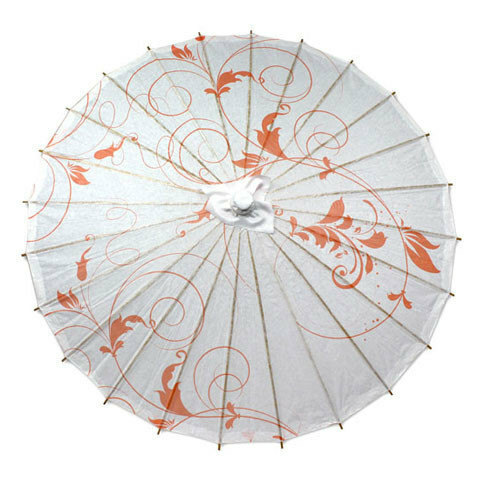 I really love it!